I like this experiment, but I don't think it shows what you think it does. 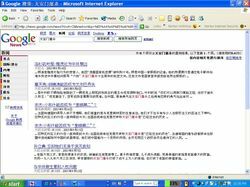 If you go to google.com from a Chinese IP address, you get Google in Chinese. (I use a proxy that causes my requests to come from all over the world, and I routinely see Google in a language I don't understand.) Google can show you a different front page based on your IP address; I think they can show you different search results based on your IP address. I think the difference that you've found is that Yahoo! thinks that a request for search results in the Chinese language implies that the searcher is in China regardless of the IP address. Google relies on the IP address to tell whether to block something regardless of what language the user has chosen. 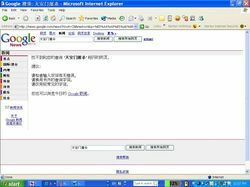 What happens if you search on English language Google from an IP address in China? Maybe I'll try this later today. Interesting. My results are slightly different from yours. 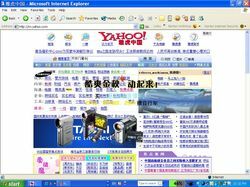 Accessing cn.yahoo.com from Beijing and searching for that phrase gives me a Yahoo page that reports no results found, and recommends retooling my search terms. So it seems to be doing the same thing as your Google example. It's just picking up that exact the phrase, though; reverse the two words and you'll return a set of results that are essentially "healthy" but include several unviewable on the mainland (the suggested alternative search terms are similar - they look really threatening ("bloodbath" and such) but the engine breaks the phrases into constituent words and returns innocuous reslts). Also, cn.yahoo.com is not only Chinese-language but actually hosted in China (traceroute goes through bjtelecom), so it's still a matter of location rather than language. tw.yahoo.com (accessible via proxy) gives a full set of results, but hk.yahoo.com throws an error at that search term, proxy or not. I'm not particularly clear on what you mean by "actively filtering" - if Google shows fewer results results for a search than it actually has indexed, isn't that as much "actively filtering" as if it simply tossed up a "page cannot be displayed" message, as you suggest Yahoo does in your first example, when it encountered sensitive terms/results (I believe that it's the ISP doing the filtering in that example, though)? Same goes for the proxy. 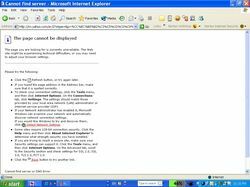 The requested URL is sent from your browser to the proxy in plain text through the "firewall", given the description of access from Beijing in the coments above, that is the spot where its filtered. 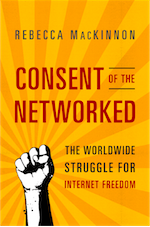 Proxy servers in China are good for determining if content is acessible, but will return inconclusive results when checking to see if content is blocked. 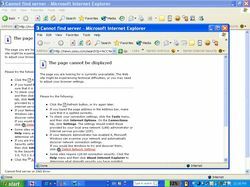 There are two many points of filtering and failure between you and the proxy and the proxy and the requested content. However, your Google example is actually much better. If no results are being returned, but the connection is not blocked then that is Google filtering the results. Google has admitted to removing results from urls blocked in China and the search for the term above yeilds epochtimes and peacehall bothe of which are blocked by China and removed from Google's Chinese New site for user in China (by geolocation). The other thing to watch is that the keyword in URL filtering by China is not 100% accurate, sometimes requests will go through. Also, the inability to access the proxy is a by product of China's filtering emchanism, explained here (http://ice.citizenlab.org/?p=113) -- the same behaviour can occur bi-directionally in most cases. But not much can be done about it really. If they go against the law then problems will occur. Best to follow their instructions for now..
issue, had Senator Boxer support ballast water legislation in 2008. How can anyone know who to vote for, when politicians will not talk to specifics (current bills etc.)? The news media will only ask superficial questions. Americans hopefully have learned that voting for someone because they say the word "change", should raise red flags and mean- to be careful what you wish for. Restoration programs are great, but by themselves without proper prevention, will only continue to be, a repair to the damage still being allowed to occur and a continued economic drain. NY has spent enormous amounts of money, (that could have been stimulus money) on ballast water protection. The Federal government could not act to protect all states equally after a house vote for ballast laws 395-7, because our country is now dependent on foreign manufactured products to survive which are primarily delivered by foreign ships. Candidates for governor in NY, should be ask if the money the state has spent to protect their waters without infrastructure for enforcement will be wasted, by disregarding NY regulations, should the Coast Guard initiate any plan, weak or strong in the presidential election year 2012. Are they going to be granting permits or passes to ships while this plan to pressure the Federal government to act responsibly, plays out? NY laws are important to uphold as they affect all Great Lakes states, with international implications as well, and NY regulations may pressure this administration to finally act responsibly, before the presidential election year 2012. At best immediate action would be 2 1/2 years after historic legislation passed the largest elected legislative voice of the people 395-7 for the real change we needed in 2008. This legislation was killed by one member of the presidents party, while the three top members of this administration were Senators, leaving the states in competition with each other as they negotiate on an international level with foreign economic interest. Our countries policy of promoting economic globalization should stop this pass destroying our environment, and take our economic security back, by creating a level playing field for American manufacturing. We already have enough store clerks, as store clerks are now the largest career for Americans to aspire. This means the American dream for many American will only be a store clerks standard of living. Unfortunately this scenario has been created by the last two decades of political dynasty's interlacement of our free market economy to the point of dependence with the controlled economy of a communist country.